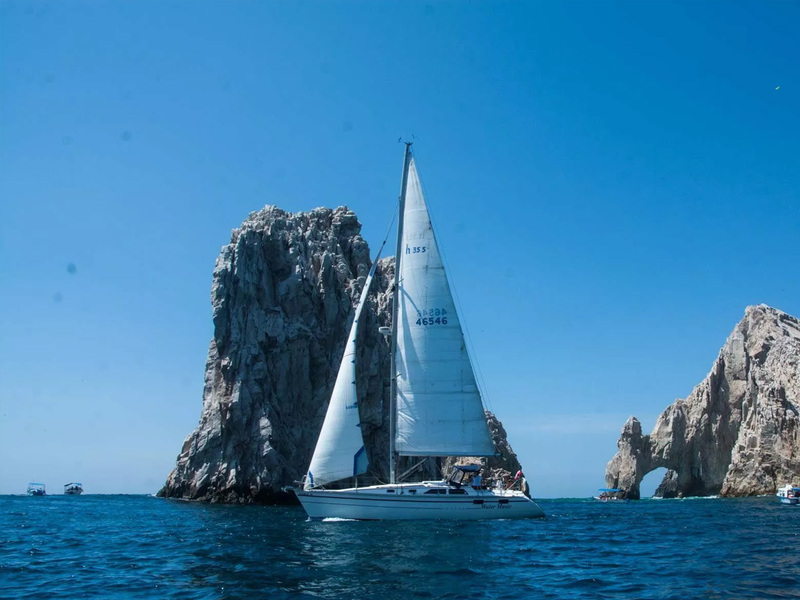 Set sail and experience the views of Los Cabos famous arch and flourishing sea lion colony. 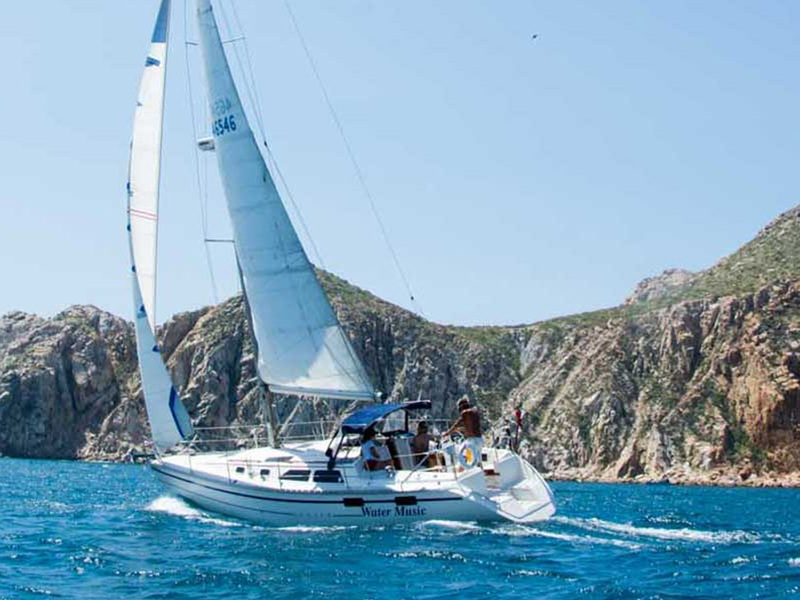 Take your family and friends on a private sailing tour in Cabo San Lucas and enjoy the best moments of your vacations away from the crowds. Experience the famous arch and flourishing sea lion colony at land‘s end aboard our Snorkeling Cruise. Let us cater to your every desire. We’ll hoist the sails of our Hunter 36 for a smooth motor-free excursion into the Pacific. We’ll fetch paradise for you while the exquisite geology engulfs a majestic playground on the edge of the earth. Before the tip of the Baja California peninsula sinks into the sea, Pelican Rock beckons, adjacent to the famous Lover’s Beach. 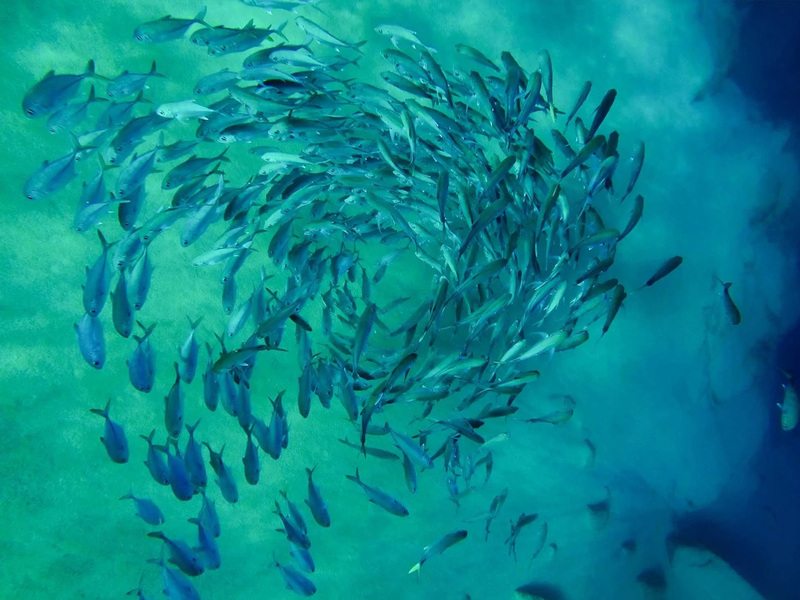 Pelican Rock is one of the best snorkeling spots around, featuring forty species of tropical fish and marine life in their natural environment. 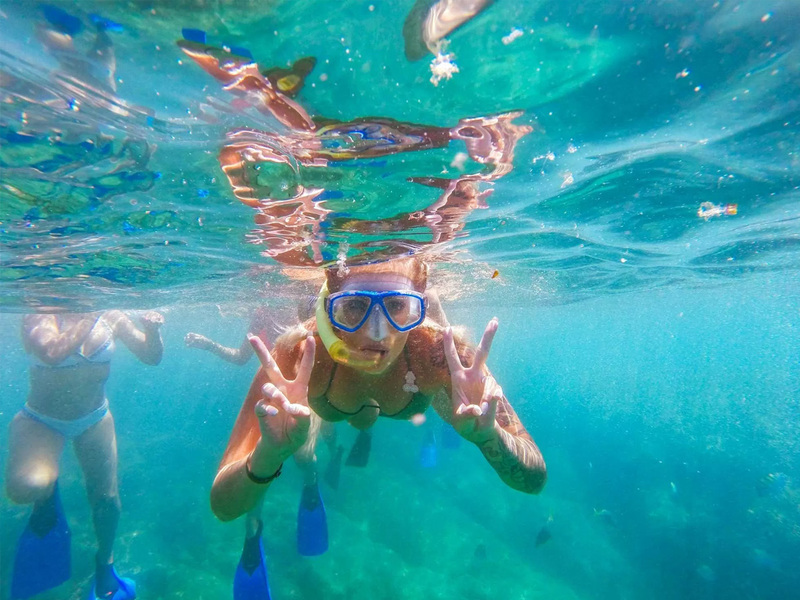 Snorkeling in Cabo San Lucas is a dream. Enjoy an open bar and light lunch. 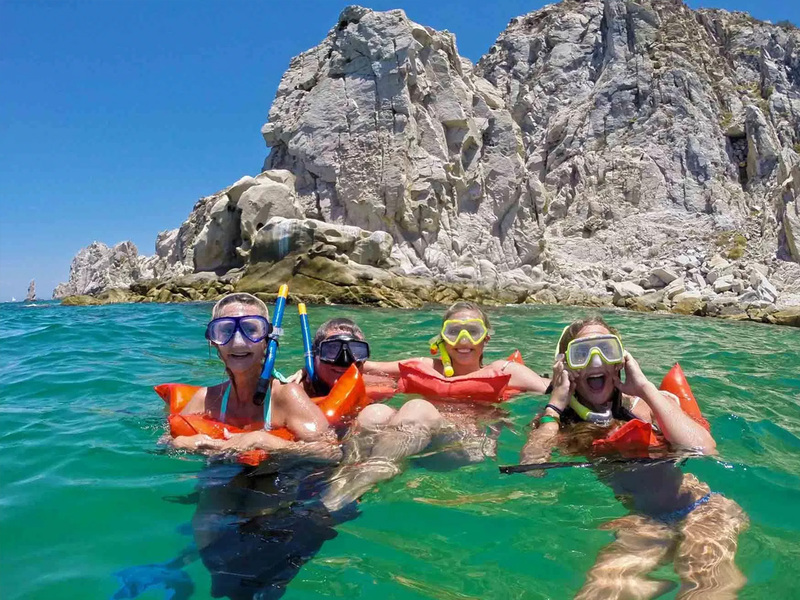 If you’re seeking an oceanic oasis unlike any other coastal destination on Earth, enjoy enchantment with the best captain and bilingual crew in Cabo San Lucas at your helm. Listen to the wind. Here the Pacific Ocean and Sea of Cortez connect—kiss the aquatic mountains—carve an arch in the rocks, and part toward the heavens. 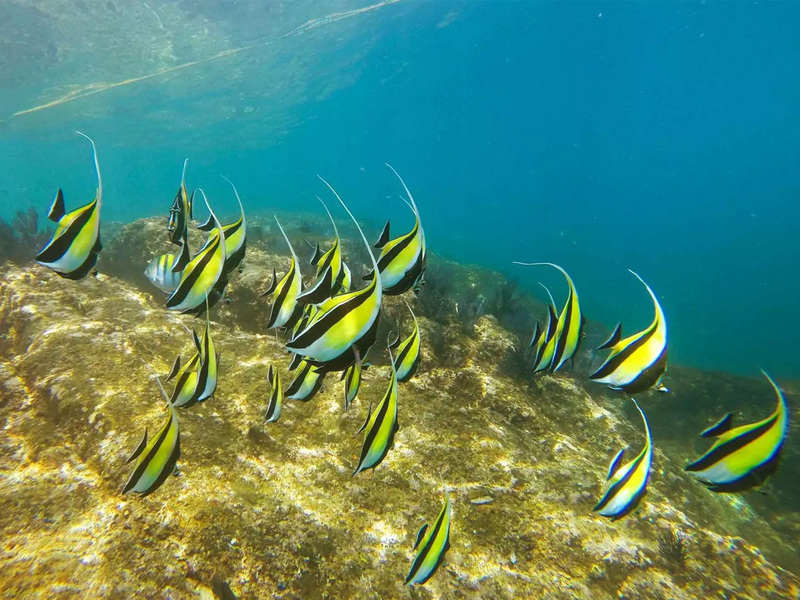 The Sail by Sea Snorkeling Cruise is ideal for families, friends, lovers, and everybody looking for an amazing memory for the ages. Breathless moments of natural beauty last an eternity. Previous sailing and snorkeling experience is not necessary. Snorkeling gear is provided. Duration: 3 hours. You may extend the duration of your tour for an extra charge based on availability. 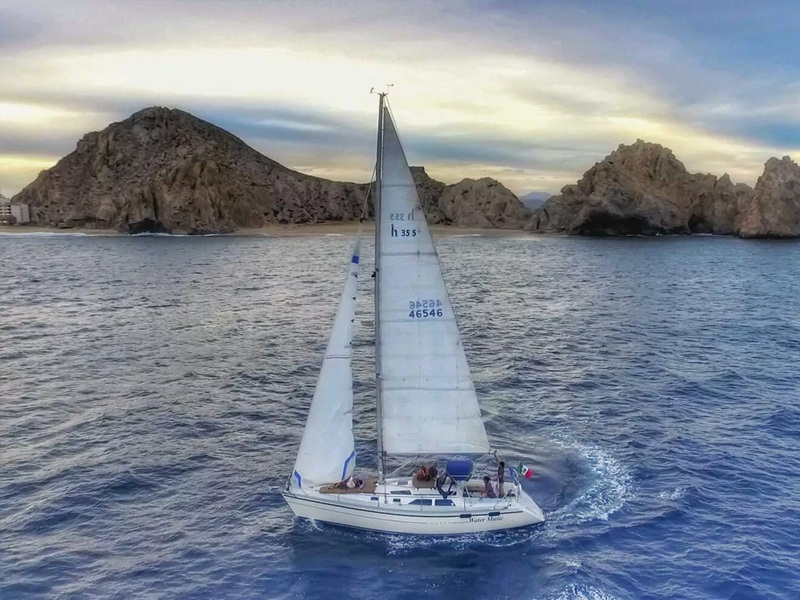 Kaleidoscopic colors embrace the horizon and heavens during our ethereal Sunset Sailing Tour in Los Cabos. Sail past the famous arch and exquisite rock formations. Lover‘s Beach provides a magic carpet into the Pacific during the sunset. We’ll hoist the sails for a smooth motor-free excursion into paradise. The sea lion colony at land’s end will greet you. 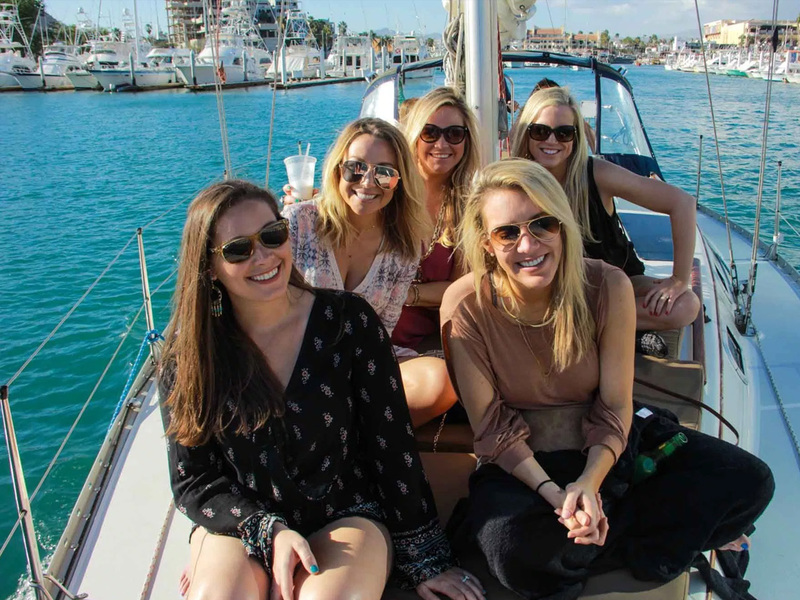 Enjoy an open bar and canapés aboard our Hunter 36. Sunset is the most majestic time to sail. Let us provide the experience of a dream, catering to your every waking desire. 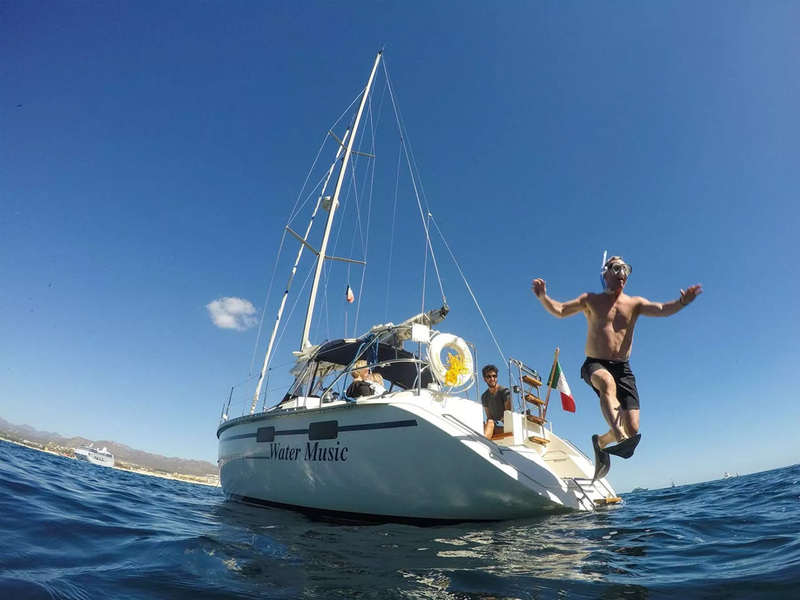 Relax while our captain and bilingual crew make magic happen while you enjoy the paradisiac Los Cabos. We specialize in smooth sails, though we are capable of gratifying your every whim should you wish to sail with the pirates. 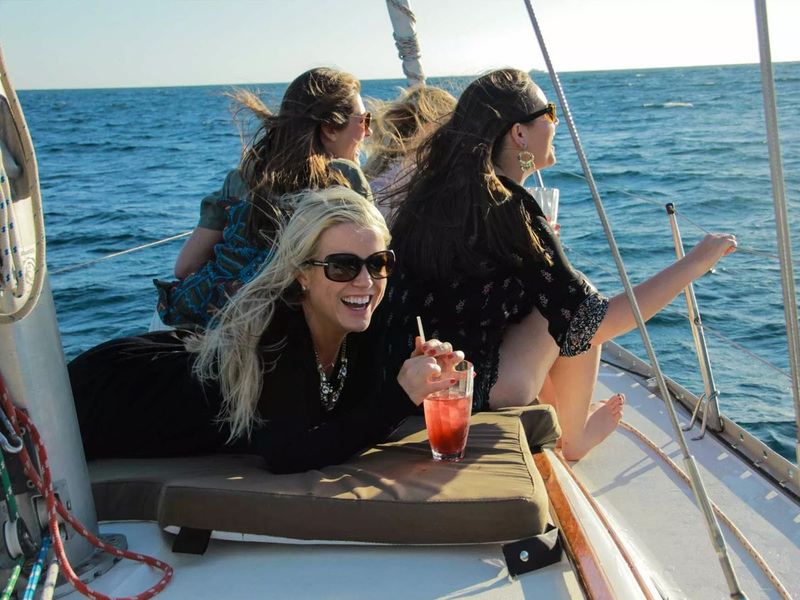 Our Sunset Sailing Cruise is perfect for parties, birthdays, honeymoons, anniversaries, wedding proposals, and anything—ideal for capping off an unforgettable day in Cabo San Lucas. If a romantic cruise is what you want, Cabo by Sea is the perfect charter. The sunset is the crown of Cabo San Lucas and the ocean is your kingdom. This is the epitome of excellence and serenity. Previous sailing experience is not necessary. 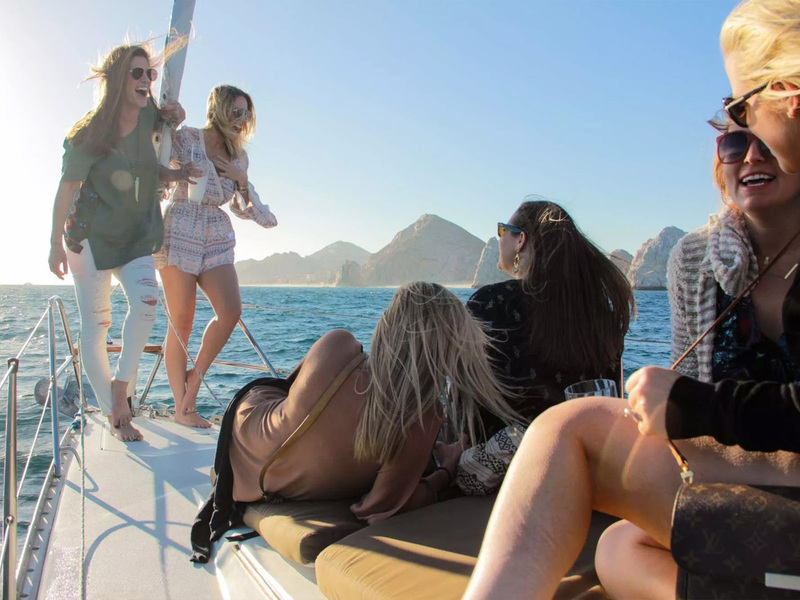 The Cabo by Sea Sunset Cruise is two hours and departs daily from Cabo San Lucas Marina Dock E at 4:15 pm, 5:15 pm, or 6:15 pm (depending on season). •	Sightseeing to famous areas: El Arco (Land’s End Arch), Lover’s Beach, Medano Beach, sea lion colony and exquisite rock formations.